The developer has released new images of the homes at the 334-unit property, which also includes 18,400 square feet of new retail and dining space. Spanning 21 acres along Main Street, the restored factory building offers a mix of layouts ranging from studios to three-bedrooms. 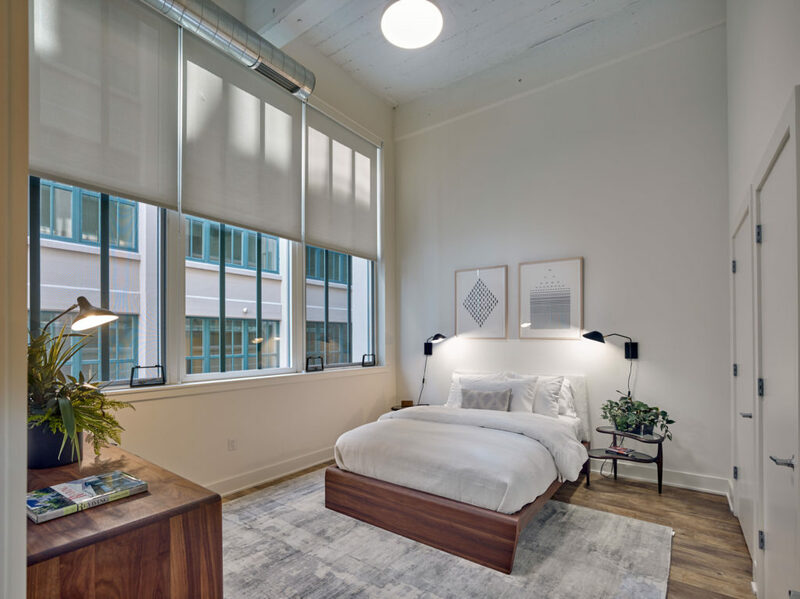 The residential component known as Edison Lofts is now available for immediate occupancy, Prism said. The project includes a newly built section with 34 apartments, known as The Mews, where the developer has leased all but one of the units. The apartments are part of phase one of Edison Village, which also features a newly developed 630-space parking structure. 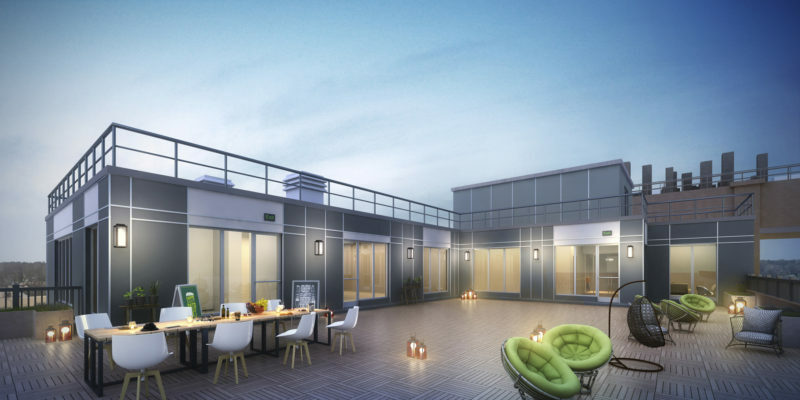 Residents, meantime, have access to amenities such a 12,000-square-foot rooftop lounge with views of the Manhattan skyline, an indoor swimming pool and a private 5,000-square-foot fitness center with a sauna, showers and lockers. 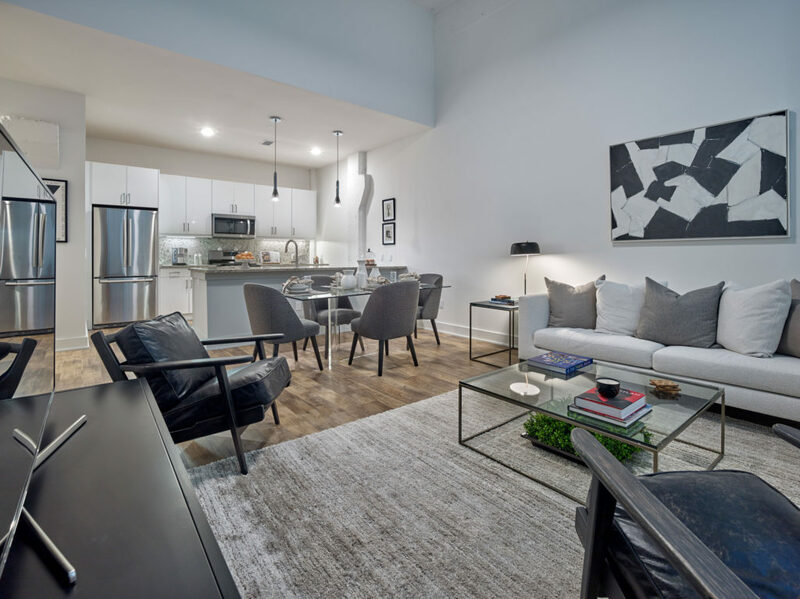 “At Edison Village, modern amenities support active lifestyles of residents of all ages and foster a vibrant sense of community,” said Edwin Cohen, a principal partner with Prism. Other features include a business center, media/screening room, private dining room and a dog wash, according to a news release. The property also offers shuttle service to the Orange train station, providing another offering for commuters. Edison Village’s rooftop lounge provides 360-degree, unobstructed views of the surrounding areas and the Manhattan skyline. The 12,000-square-foot lounge boasts a 5,000-square-foot covered outdoor deck and 8,000 square feet of open space with an array of seating options, grills and an attached kitchen for catering. Minno & Wasko Architects and Planners oversaw the design of the project, which took advantage of existing architectural features of the formerly vacant, 100-year-old Thomas Edison Invention Factory. 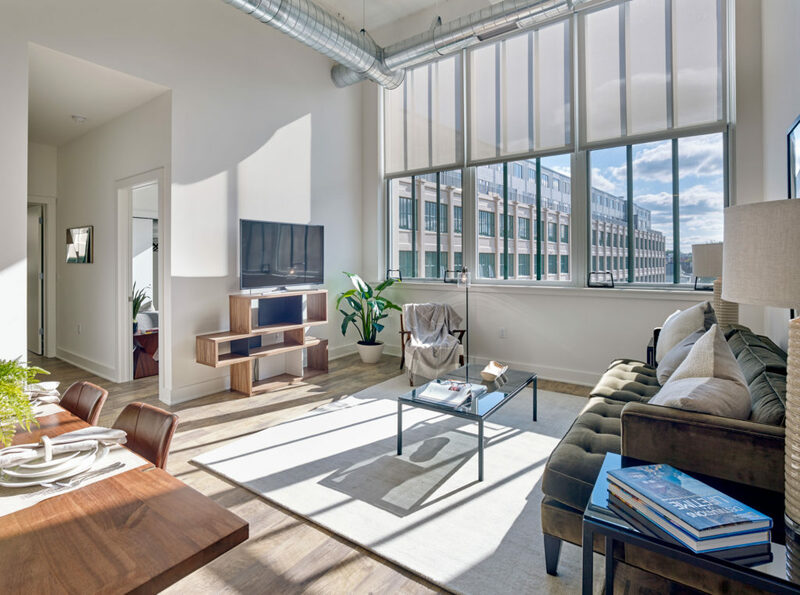 For instance, the building incorporates 14- to 16-foot ceiling heights and 10-foot replica replacement windows to let in abundant natural light. 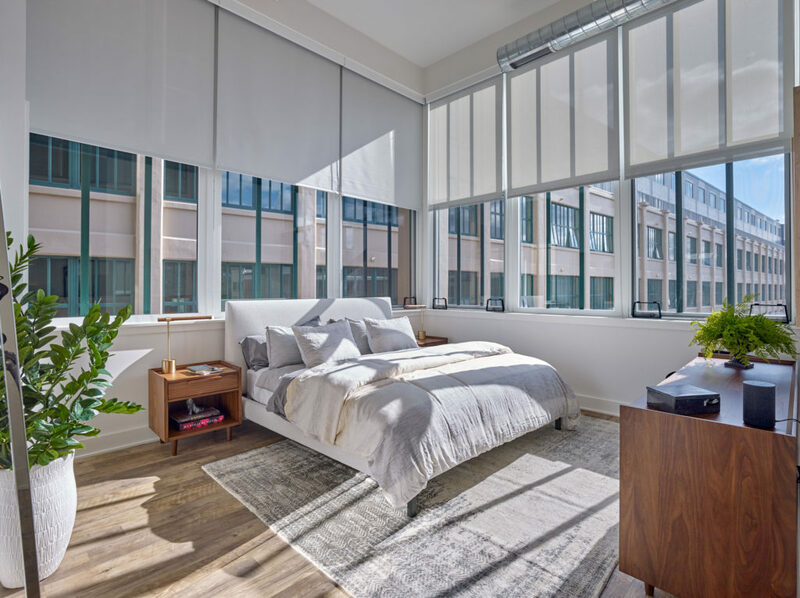 The market-rate residences at Edison Lofts range from 590 to 1,500 square feet and include 20 penthouse duplex homes to be released later this year, Prism said. 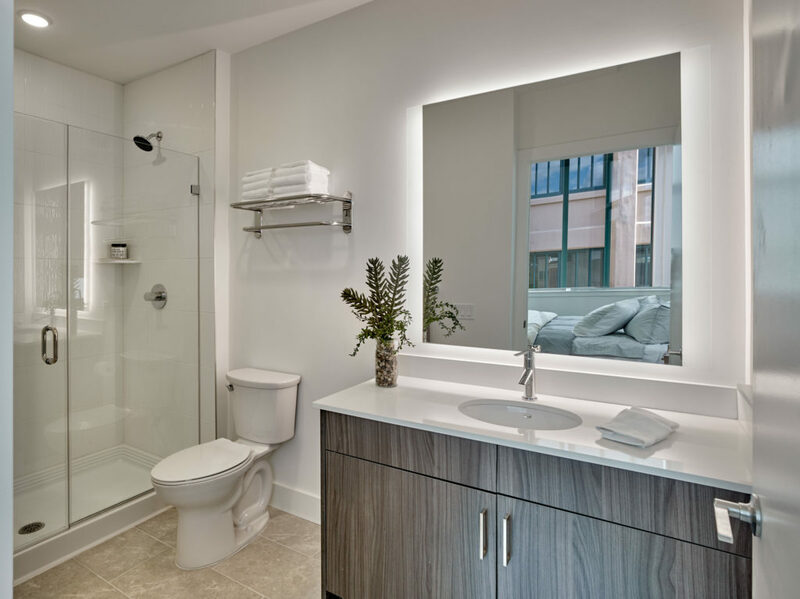 Starting prices for studios, one-, two, and three-bedrooms range from $1,625 to $4,500. 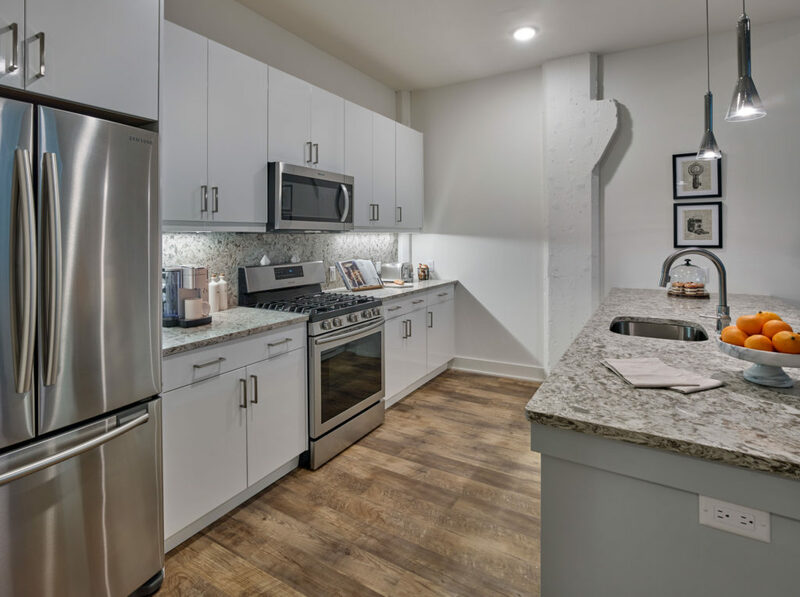 “Edison Village aims to exceed the needs of all of its residents when it comes to both luxury living and convenience,” said Eugene Diaz, also a principal partner with Prism.